PGI Chandiharh M.Sc Admissions 2019 (MLT) , Notification Out! PGIMER M.Sc Admission 2019 for MLT Courses notification released officially. Check the complete notification released by the PGI Chandigarh regarding the admission to the M.Sc (MLT) Admissions in 2019. Following below is the complete details of the notification including the date, courses, eligibility, and fees. So, all the M.Sc aspirants who are looking forth for the information on the (Postgraduate institute of Medical Education) PGI Chandigarh admissions in M.Sc should go through the notification. Admission to M.Sc. Medical Technology courses conducted at the Institute is made twice a year. The sessions commence from 1st January and 1st July each year. 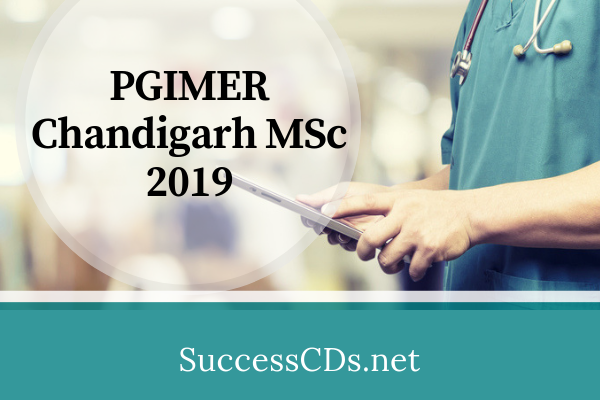 How to Apply For PGIMER M.Sc Admission 2019? All the candidates are directed to deposit the above fees in any State Bank of India branch by filling the Challan form in the name of Director, PGIMER, Chandigarh (Examination) in the Power Jyoti Account No.32211613319.